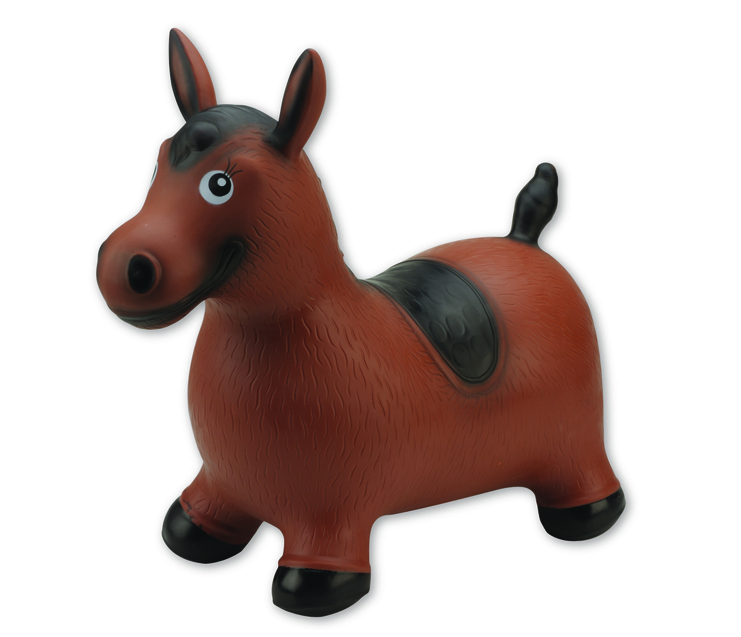 Bounce-A-Long Buddies are some very simple and non-complicated products. They also look really fun and are almost painfully cute. If I was a kid (or just a smaller man) I'd be all over Bounce-A-Long Buddies... literally. These (not so) little ride-ons from FS-USA are all set for a bounce around the living room. 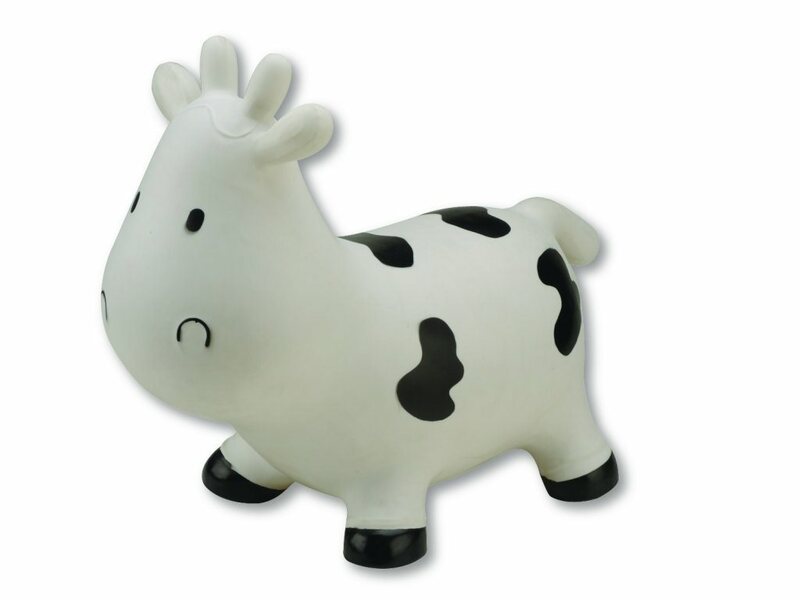 Moo-Moo and Trotter, as they are affectionately known, offer a fun way for kids to bounce away their boredom. Inspired by a “Kid Tested–Parent Approved”mindset, the Bounce-A-Long BuddiesTM incorporate an array of subtle features that appeal to both kids and parents. The ears double as soft grip handles that little hands can easily grasp as they gallop and mooooove around with ease. These neat bouncy buds are designed for indoor or outdoor use and support up to 220 lbs., thus reassuring some parents and adults who can’t avoid the irresistible urge for a quick bounce or two – they are rated for 3 & up after all! Bounce-A-Long BuddiesTM are easy to clean, furniture and floor friendly, and feature and easy to inflate, fumble free, self-seal needle valve which can be inflated with any standard ball pump or at your nearest gas station. In addition, these super fun bouncers offer a traditional and active alternative for kids to release energy while improving coordination and balance and promoting an overall healthy and creative lifestyle. Kid Powered - No Batteries, No winding required! Creator's FS-USA are actually the largest manufacturer of marbles in the US and the Buddies line marks the latest expansion for their catalog of award winning toys. 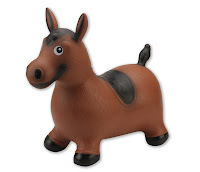 The bounce-ons will be priced at $39.99 when they begin shipping to stores this month.